Rear top cargo shelf for supporting and organizing rear top cargo.Two recessed compartments to support electronic accessories. 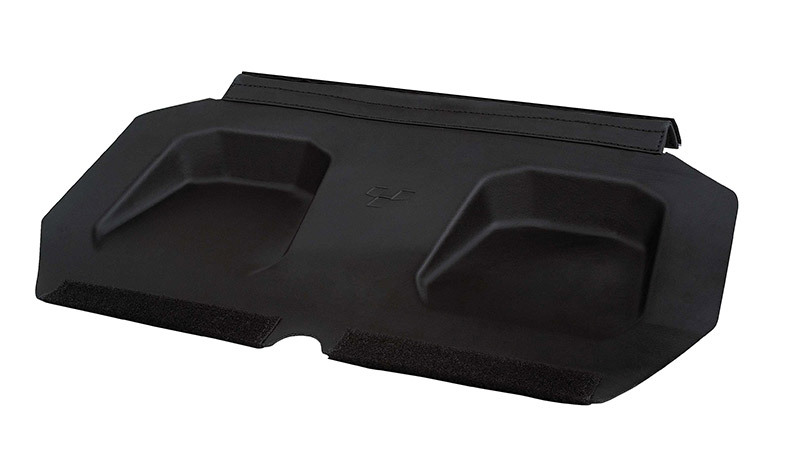 For supporting and organizing rear top cargo. Two recessed compartments to support electronic accessories. Can be tilted to facilitate access to lower section of cargo.